SALE! AS IF YOU DIDN'T KNOW. Apparently it's Cyber Monday and my colleagues here have asked me to come to terms with this before it passes. So, I will take this opportunity to pitch to you, our loyal email subscribers, our annual Sale of Celebration, an online only sale that runs now through January 4 and offers a 20% discount* on unlimited tickets to all shows in our second half, January through May. To receive your discount, choose Sale of Celebration, for each ticket, from the drop-down menu on the Shopping Cart page (step 3). We use US Postal Service First Class mail for our deliveries, so please plan accordingly when ordering for pre-holiday delivery. So, whether you prefer ballet or Chinese acrobats, comedy or the sounds of NOLA, log on today for savings. And don't forget the kids and grandkids when cyber-shopping. Tickets make great gifts and live performance is good for their young brains. *Not applicable to performances starting at noon. www.jhmomc.org for information and tickets! Well, if you need to slake your thirst for holiday nostalgia or just want to introduce a youngster to this classic tale, head on over to Millburn's Paper Mill Playhouse for a polished, charming musical version of A Christmas Story—complete with cute kids singing and dancing; an apoplectic dad wrestling with the vicissitudes of daily life at the end of the Depression; a stoic, stalwart mother; and even a Jean Shepherd-like narrator to lead us through the tale while offering wry commentary on the antics of the Parker family of Cleveland Street in Homan, Indiana, at Christmastime 1940. It's all there, just as you (and Jean Shepherd) remember it: the ugly leg lamp (above); the pink bunny suit; the tongue frozen to the cold flagpole; the visit to a weary, bored Santa—all set to music and dance routines (some of them show-stoppers) to produce a delectable holiday bonbon! Using the sets, costumes and musical arrangements from the Broadway and Madison Square Garden productions, director Brandon Ivie has assembled a new cast to work its magic to delight adults and children alike. In the role of Ralphie, Colton Maurer is the perfect geek, but one who sings and dances magnificently. He may be small, but his stage presence fills the large Paper Mill Playhouse stage. His hoofing abilities are in full display in several dance numbers, most notably a Western-themed "Ralphie to the Rescue," wherein our pint-sized hero uses his new BB gun to save his classmates, teachers and friends from a variety of nefarious villains. (Judah Immanuel shares the role). Hudson Loverro, as his little brother Randy, exhibits great comedic timing; I dare you to watch him get into his one-piece snowsuit without splitting your sides laughing. He, too, sings and dances superbly, even appearing in several production numbers as part of the ensemble! The adult actors display enough heft to avoid being upstaged by the pint-sized thespians. Ted Koch conveys the dry wit of Jean Shepherd in his role as our guide (and commentator) through the shenanigans onstage. His quiet presence is never intrusive, and one feels his wry affection for his alter-ego Ralphie. Chris Hoch (right) plays Old Man (Frank) Parker to the delicious hilt: his colorful cursing and spitting-mad demeanor (especially at being attacked by a neighbor's two hounds) are offset by a sentimental streak and a desire to be "The Genius of Cleveland Street." He's a hardworking, regular Joe who really wants to do right by his family. An ensemble of adults who play cowboys, gangsters and Christmas elves, along with a gaggle of adorable and talented kids, complete the large cast. All agilely execute Mara Newbery Greer's choreography to the accompaniment of the orchestra directed by BenWhiteley. With a wicked book by Joseph Robinette and tuneful music and clever lyrics by Benj Pasek and Justin Paul, A Christmas Story brings to life the holiday movie the whole world loves. 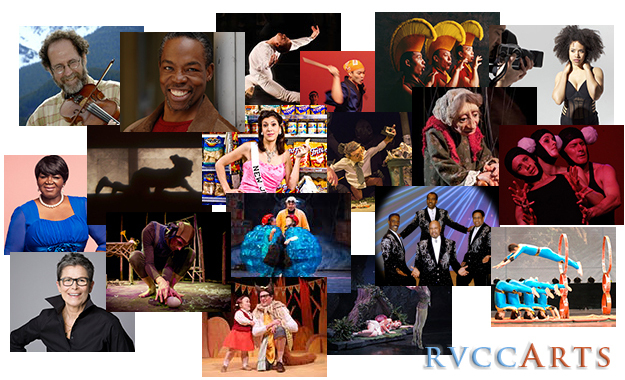 It is a perfect gift of theater for grownups and children alike. The former will fondly recall their childhood Christmases (and Hanukkahs) while the latter will delight in the foibles and adventures of a nine-year-old boy on a quest for the perfect gift. This show almost beats a Red Ryder Carbine-Action 200-shot Range Model Air Rifle—and no one risks losing an eye! A Christmas Story will be performed eight times a week at the Paper Mill Playhouse, 22 Brookside Drive, Millburn, through January 3, 2016. 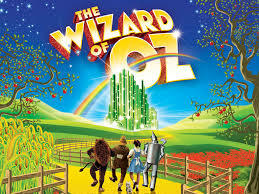 For performance times and tickets, call the box office at 973.376.4343 or visit www.papermill.org online. 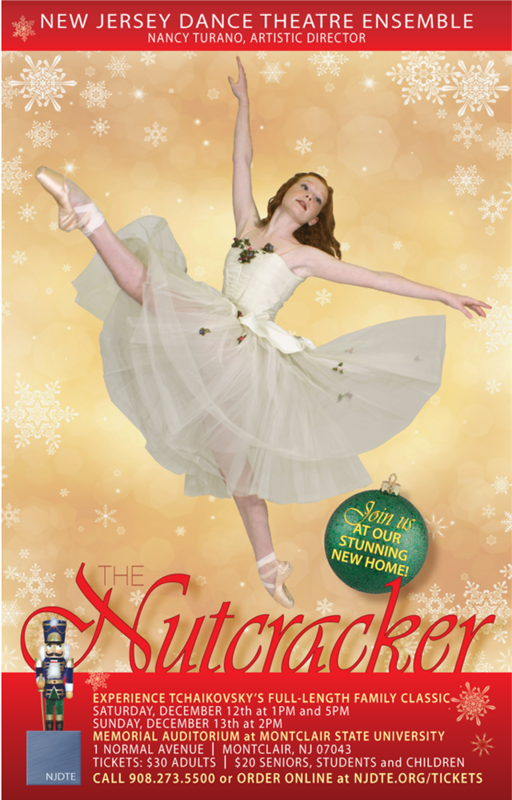 Paper Mill Playhouse will offer a special autism-friendly performance on Tuesday, December 29, at 1:30 PM. TICKETS: *ALL TICKETS ARE $25.00 IF PURCHASED AT THE DOOR WITHOUT A RESERVATION. WHEN: Dec. 2, 3, 4, 5, at 7 p.m. and Dec. 6 at 2:30 p.m. Numbers is directed by Maria Aladren and was translated from the original Spanish by William Gregory. Almost daily, it seems, the evening news brings us images of refugees taking to the seas to flee wars in Syria, Iraq, Afghanistan and Africa. All aspire to find a new life and hope, but so many find themselves unwanted, dispossessed and lost in bureaucratic in-fighting. This intense reality is the heart of a powerful new drama, Numbers, receiving its world premiere by the Rutgers University-Newark (RU-N) -New Jersey Institute of Technology (NJIT) Theatre Program. A cast of 10 students from the two universities, along with a production crew of 10 students, will present Numbers, a tale of refugees plucked from the Mediterranean by a fishing boat only to find that no one will take them. The play, by Mar Gómez Glez, is based on the 2006 story of the “Francisco y Catalina,” which rescued 51 refugees from a sinking raft, only to be trapped in a political nightmare. The play is a perfect fit for two universities that are among the most diverse in the United States, with large numbers of students who are either immigrants or children of immigrants. In fact, “There are students on our campuses from all of the countries represented by the immigrant characters in the boat in Numbers,” notes Tim Raphael, director of the RU-N Center for Migration and the Global City (CMGC), which focuses on the impacts of global migration, especially on the Newark region and the state of New Jersey. “Embodying historical events through theater, and the performing arts in general, can be a particularly resonant teaching tool for leveraging and representing the extraordinary ethnic and global diversity of our students,” he says. Toward that end, CMGC is hosting a special forum following the Dec. 3 performance, an open discussion between the audience, cast and a panel consisting of director Maria Aladren, playwright Gómez Glez, and two faculty members with personal insights into the plight of refugees: Sadia Abbas, associate professor, RU-N Department of English and Program in Women's and Gender Studies, and RU-N’s Mohamed Alsiadi, an Arabic lecturer in the Department of Spanish and Portuguese Studies and a graduate student. Abbas spent the last two summers working with migrants in Greece, and saw first-hand the struggles of boatloads of immigrants. Alsiadi has been working in the cultural and political arenas to draw attention to the more than 2 million Syrians who have been displaced since 2011. Numbers was published by the Spanish Institute of Performing Arts in Spanish, and received the 2011 Calderon de la Barca Theater Award. In 2012 it was selected for public readings in New York City, first in Spanish at Repertorio Español and then in English during the PEN Festival 2013. Numbers was published in English in the anthology “New Plays from Spain: Eight plays by seven playwrights,” and in 2014, it received a public reading by The Vagrancy at Theater Asylum in Hollywood. CROSSROADS THEATRE’S CYBER MONDAY SAVINGS EXTENDED ALL WEEK! Union's Dowtown Center is less than one mile from the junction of the Garden State Parkway and Route 22. Every December, the Kaplen JCC on the Palisades sponsors an annual art exhibit featuring the artistic talents and accomplishments of individuals in our community with special needs. This year, more than 200 pieces were submitted for this month-long exhibition from 10 different schools and programs and include framed artwork, as well as drawings, ceramics, fabric sculptures, box sculptures, mosaics, photography and more. Each piece showcases the creative talents of school-aged children and teens, adults, community residents and JCC Special Services Program participants. “Art for All celebrates not only the creative, artistic talents of these individuals but also the spirit of inclusion that the JCC pride itself on,” says Shelley Levy, Director of the Guttenberg Center for Special Services at the JCC. The Gallery, which is free and open to the community, keeps the following hours: Monday – Thursday, 9 am - 10 pm; Friday and Sunday, 9 am - 4 pm; closed Saturday. For more information please contact Mindy Liebowitz at 201.408.1490. WHEN: Friday, Dec. 4, 7:30 p.m., Saturday, Dec. 5, 1:30, 4:30 and 7:30 p.m. and Sunday, Dec. 6, at 1:30 and 4:30 p.m.
TICKETS: Tickets and information can be found by visiting www.cdctheatre.org. Begin the holiday season with a fractured fairy tale for the whole family! Rapunzarella White is filled with fun! Rapunzel, Cinderella and Snow White are triplets who are stolen by an angry witch and each is catapulted into her own fractured fairy tale. Each dreams of being rescued by a handsome Prince. Will they be saved? Of course! Beau, Barry and Burly Bob may be a little more bashful and bumbling than bright, but with the help of the Fairy Tailor, and some magic, they all live happily ever after. With book and lyrics by June Rachelson-Ospa and book and music by Daniel Neiden, this very funny and tuneful tale is entertainment for the entire family. WHERE: UCPAC's Mainstage 1601 Irving Street in the heart of Rahway's Arts District and easily accessible to major roads and public transportation. In advance of the year's most highly anticipated movie, bone up on everything STAR WARS™ as the extremely talented Canadian actor Charles Ross brings his hilarious One-Man STAR WARS™ Trilogy to UCPAC's Mainstage. Much of Ross' childhood was spent in a galaxy far, far away, watching STAR WARS™ videos over—and over—and over again. The result of this misspent youth is his One-Man STAR WARS™ Trilogy, where he single-handedly plays all the characters, sings the music, flies the ships, fights the battles and condenses the plots into one performance. At university, Ross formed a friendship and collaborating partnership with actor/writer/director T.J. Dawe. He has directed four of Ross' solo shows—the first being the wildly successful One-Man STAR WARS™ Trilogy. With thousands of performances, in hundreds of cities, across four continents, the worldwide love affair with this trilogy is phenomenal - and it's been a dream come true for Charles Ross to celebrate that love with generations of fans around the world. Little Susan doesn't believe in Santa Claus. Watch this timeless and touching holiday story as a Macy's Santa brings the joyous spirit of Christmas to New York City. His gentle and noble spirit converts even the deepest cynics into true believers of miracles. IMPROVMANIA 11: THE BATTLE OF THE IMPROV TROUPES! All proceeds will benefit programs of NJSDA, a 501-C3 not-for-profit educational organization. For tickets or more info, please call 973-566-9700, Ext 5. The battle for your laughs is on! The New Jersey School of Dramatic Arts is excited to announce the return of IMPROVMANIA, with their eleventh edition, THE BATTLE OF THE IMPROV TROUPES! The night will feature three of NJSDA's improv troupes, Nutty by Nature, Sparks of Insanity, and On the Spot sparring and challenging each other with games to get the most laughter from the audience! All shows are based on audience suggestions, so no two shows are ever the same! The audience is invited to bring their own crazy props for the actors to use in the show! Nutty by Nature has been performing together 18 years, On the Spot six years, and Sparks of Insanity (an all teen improv troupe), five years. All troupes are based out of NJSDA. TOP: Members of Nutty by Nature, On the Spot and Sparks of Insanity: (left to right, top to bottom) Ted Wrigley, Rich McDonald, Elaine Brodie, Bob Sapoff, Amber Smith, Paul Accocella, Chuck Tsocanos, Matt Hopkins, Jody Eiden, Shelley Miller, Fil Babalievsky, Brendan Maly, Robin Lewis, Jacky Veleo, Mick Gyure, and Laura Hartin. AFTER HOURS @ THE ZIMMERLI WITH CROSSROADS THEATRE COMPANY: A FREE EVENT! DRAMA DESK NOMINEE FOR BEST MUSICAL COMES TO LUNA STAGE! 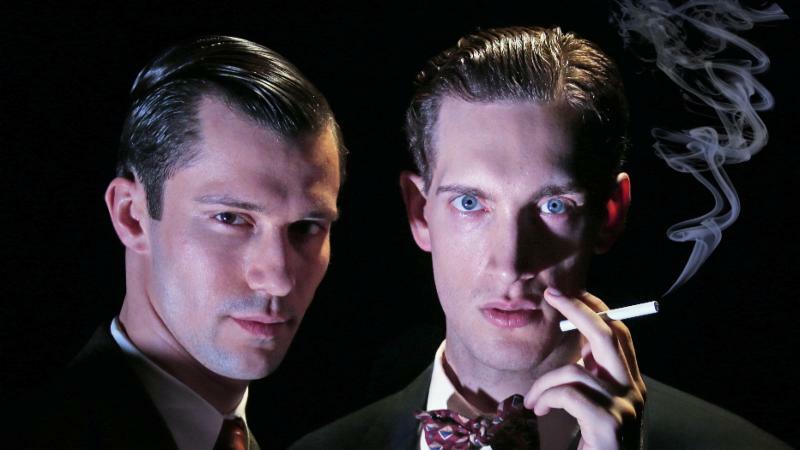 A Drama Desk nominee for Best Musical, Thrill Me: The Leopold and Loeb Story by Stephen Dolginoff has been translated into 10 languages and has had over 100 productions in 15 countries. Plus...this just in! Thrill Me has been optioned for Broadway with a target to open in 2016! “Gifted songstress” is what audiences call Rhonda Denét. Music has always been a guiding force throughout Rhonda’s life. She has been hailed as a virtuoso that lends her flair to every song she sings. This formally trained and soulfully gifted songbird completely covers the gamut with a repertoire that covers the American Songbook to Top 40 radio as well as her inspirational original compositions. Steve Kazlauskas was inspired to become a singer by an exchange of letters with Mr. Sinatra himself. Steve has honed his craft in a way that would have made "Ol' Blue Eyes" proud. Steve works as a solo performer, and also with big bands throughout the USA. He really knows how to sing in the Sinatra style, while bringing his own style and voice to the table. It's not an imitation but a carrying on of the tradition. Daydreamer Productions, Ocean County’s “Best Community Theatre” as voted by the Asbury Park Press since 2012, will kick off its first winter season with the premiere of WORLD OF COLOR: Christmas Wonders. This World of Color Christmas show—the most impressive and fanciful nighttime extravaganza Daydreamer Productions has ever produced—is accompanied by momentous music, and also includes fantastic LED lights, thrilling choreography, snow, steam, bubbles, strobe lighting, fog and laser effects. “Crowds have been as big as 1500 to see this live, outdoors production. With the inspiration coming from Disney Park’s nighttime shows, we have created an enticing night of entertainment. And of course, the production is FREE to attend, just bring your favorite blanket and chairs!” Wainwright says. WHEN: from 7:00PM to 8:00 PM on Sunday, November 29th. Written by Steve and Kathy Hotchner, Treasure Island is a children's participation play, written to involve an audience of children directly in the events occurring on stage. Six actors, ages 15 and up, are needed to perform the roles. We have cast the roles of Long John Silver and Ben Bulba but still are looking to cast the following roles: Jamie, Captain Smollet, Red, and Crossbun. No experience is necessary, and auditions will consist of cold readings from the script. Matt Marino of Bernardsville is directing this production for Trilogy and will be assisted by Jaye Barre. Rehearsals will begin immediately following casting and will occur on Sunday and Wednesday evenings. Performances will take place at local libraries on Saturdays, January 9th, 16th, and 23rd, with three performances each day. Please contact Matt Marino at (908) 208-2250 or at matthew.frank.marino@gmail.com if you are planning on auditioning and/or if you require further information about the production. Ample free parking behind Unity Bank and State Farm Insurance. WHEN: November 20th through December 20th with performances Friday evenings at 7:30 PM, Saturday and Sunday matinees at 4:00 PM. TICKETS: FUN-tastic Fridays with all tickets $15! Saturday and Sunday tickets are $25 for adults, $20 for seniors and $15 for children. To purchase tickets, visit our website at www.growingstage.com or contact the Box Office at (973) 347-4946. A CHRISTMAS CAROL the Musical is based on the story by Charles Dickens with music by Alan Menken (Disney’s The Little Mermaid), lyrics by Lynn Ahrens (Seussical) and book by Mike Ockrent and Lynn Ahrens. A CHRISTMAS CAROL the Musical is under the direction of Stephen L. Fredericks, The Growing Stage’s Executive Director with choreography by Jillian Petrie and musical direction by Melinda Bass O’Neill. A CHRISTMAS CAROL the Musical features the talents of five professional equity performers in the cast. John Patrick Cleary of High Bridge, last seen in the world premiere production of And Then Came Tango, plays Scrooge; Danny Campos of Kearny and Lori B. Lawrence of Hackettstown, last seen in The Story of the Nutcracker, plays Mr. and Mrs. Fezziwig respectfully (right); Nikole Rizzo of Highlands, who also appeared in And Then Came Tango, plays Mrs. Cratchit; and Cara Ganski of Woodbridge, last seen in Disney’s The Little Mermaid, plays the Ghost of Christmas Past. Rounding out the cast are twenty six young performers and community artists from all across New Jersey. Production dates are March 4 thru 19, 2016 with rehearsals to begin late-December. Sibling rivalry, adultery and dungeons, all can be found in James Goldman’s modern day classic, The Lion in Winter. Comedic in tone, dramatic in action – the play tells the story of the Plantagenet family who are locked in a free for all of competing ambitions to inherit a kingdom. The queen, and wealthiest woman in the world, Eleanor of Aquitaine, has been kept in prison since raising an army against her husband, King Henry II. The play centers around the inner conflicts of the royal family as they fight over both a kingdom, as well as King Henry’s paramour during the Christmas of 1183. As Eleanor says, “Every family has its ups and downs,” and this royal family is no exception. 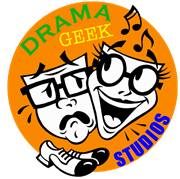 Director Jim Peskin seeks actors ranging in age from 15 to 65 to fill out his cast. Auditions will consist of cold readings from sides provided in small groups. Sides and Auditions Form are available prior to the auditions. To access sides and form, please visit our website at http://www.chathamplayers.org/auditions.html . HENRY II, King of England: (Range 45-55) – Though aging, Henry is still very nearly as vital as he ever was. His manipulations of family and others are portrayed as spontaneous and emotional as opposed to the well-thought-out stratagems of Eleanor, and the cold, calculating machinations of Geoffrey. QUEEN ELEANOR: (Range 45-65) – the wife of Henry and a beautiful woman of great temperament, authority and presence. She has been a queen for nearly 46 years and, while possessing feminine qualities, she is thoroughly capable of holding her own in a man's world. She schemes against Henry and intensely loves him at the same time. She has contempt for her children but is not willing to see them harmed. JOHN: (Range 15-20) – youngest son of Henry and Eleanor. He is sulky and sullen, with a boyish outlook on his position; many in the play describe him as a spoiled brat. He is described in the play as pimply and smelling of compost. He is Henry's favorite, but also the weakest. He constantly vacillates throughout the play, not out of cleverness, but out of fear and weakness. He is easily tricked and manipulated by Geoffrey. GEOFFREY: (Range 20-30) – son of Henry and Eleanor, and a man of energy and action. He is attractive, charming and the "brains" of the family; he is also a cold, amoral schemer. His view of himself is of one who yearned greatly for the love of his parents while receiving none. Yet, the play leaves open to question whether any of Henry's three sons should be thought to have been truly loved by either Henry or Eleanor and not merely used by King and Queen as pawns in their ceaseless scheming against one another. RICHARD the Lionheart: (Range 20-30) – The third, and eldest surviving, son of Henry and Eleanor, their second son, Henry, having recently died. Richard is handsome, graceful and impressive and has been a famous soldier since his middle teens. War is his profession and he is good at it. He is easily the strongest and toughest of the three sons/princes. Richard and Philip Capet have been sexually involved prior to the action of the play. However, Philip declares that he participated in the affair purely for political purposes, whereas Richard indicates he had genuine affection for Philip. ALAIS CAPET: (Range 25-30) – She is beautiful and in love with Henry. Everyone underestimates her intellect and power. She is initially portrayed as innocent, but by the end of the play has begun to acquire a ruthless streak of her own, insisting that Henry imprison his three sons for the rest of their lives in the dungeon. PHILIP II, King of France: (Range 18-25) – He has been King of France for three years. He is not initially as accomplished as Henry in manipulating people, but seems to acquire greater skills at this during the play. He is impressive and handsome without being pretty. Auditioning actors do not necessarily have to be in the age ranges listed for the characters, but should be able to play in that age range. Check out our Amazon Wishlist for more ways to make a lasting impact on our future! The South Orange Performing Arts Center and John Lee & Jazz Legacy Productions proudly present Giants of Jazz 18, this year honoring jazz pianist George Cables. The night will include performances by jazz luminaries Gary Bartz, Don Braden, Tommy Campbell, Sharel Cassity, Larry Coryell, Sullivan Fortner, Roberta, Gambarini, Mark Gross, Russell Hall, Roy Hargrove, Billy Harper, Jimmy Heath, Freddie Hendrix, Vic Juris, Victor Lewis, Jeb Patton, Justin Robinson, Claudio Roditi, Wallace Roney, Ameen Saleem, Evan Sherman, Lenny White and Buster Williams. There may be late additions to the roster as more artists stop by to honor Mr. Cables. Tickets are $50-$60 and can be purchased online at SOPACnow.org, or by calling the box office at (973) 313-2787. George Cables was born in New York City in 1944 and was classically trained as a youth. He attended the High School of the Performing Arts, and then Mannes College of Music. By 1964 he was playing in a band called The Jazz Samaritans which included such rising stars as Billy Cobham, Lenny White. and Clint Houston. Gigs around New York at the Top of the Gate, Slugs, and other clubs attracted attention to Cables’ versatility and before long he had recorded with tenor saxophonist Paul Jeffrey, played on Max Roach’s “Lift Every Voice and Sing,” and earned a brief 1969 tenure at the piano bench with Art Blakey and the Jazz Messengers. Collaborations and recordings with tenor saxophonists Joe Henderson and Sonny Rollins (Next Album), trumpeters Freddie Hubbard and Woody Shaw (Blackstone Legacy), and vibist Bobby Hutcherson made Cables’ wide-ranging keyboard skills, often on electric piano, amply evident. Demand for his sensitive accompaniment increased and by the end of the 1970s, Cables was garnering a reputation as everyone’s favorite sideman. Cables has performed and recorded with some of the greatest jazz musicians of our time, including: Joe Henderson, Roy Haynes, Max Roach, Art Blakey, Sonny Rollins, Freddie Hubbard, Woody Shaw, Sarah Vaughn, Tony Williams, Bobby Hutcherson and Dizzy Gillespie. He has emerged as a major voice in modern jazz and is currently performing and recording as a soloist, with trio and larger ensembles, and as a clinician in college jazz programs. He is noted for his fresh interpretations of classic compositions and for his innovative style of writing. Giants of Jazz was founded in 1997 by John Lee to honor impressive musicians and to keep jazz alive and well in the South Orange area, which many jazz musicians call home. It was devised as a way to not only honor excellence in musicianship, but also to award those who have had an impact within the jazz community through teaching and mentoring younger musicians. DANCE AND RADIO: PERFECT TOGETHER…?